North is Freedom, the photographic exhibit at the art gallery in the Embassy of Canada in Washington, D.C. opened this week. 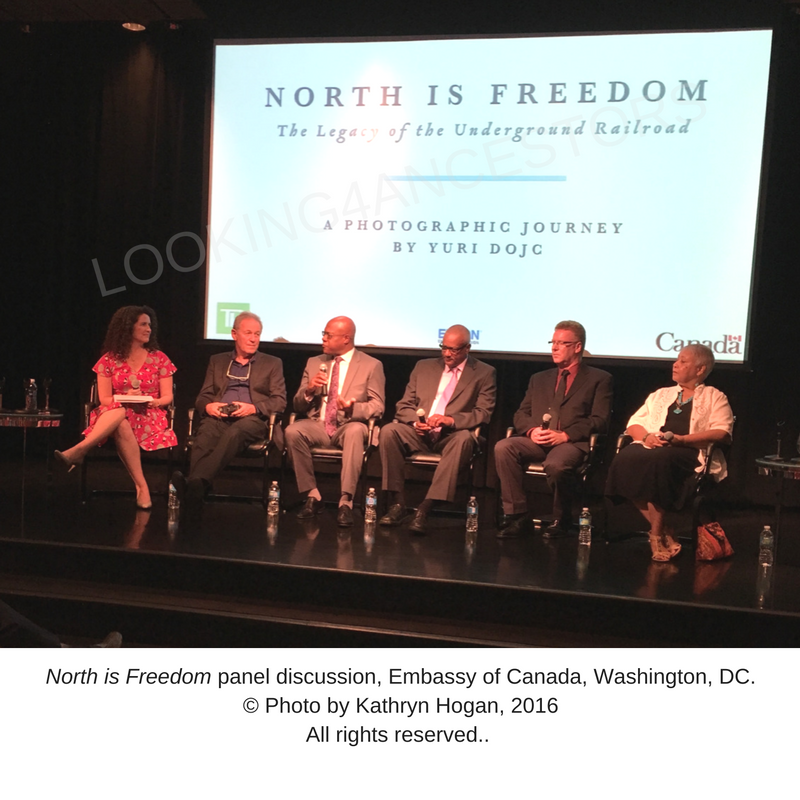 Hubby and I were invited to attend the opening event.The exhibit is a photographic essay by photographer, Yuri Dojc. 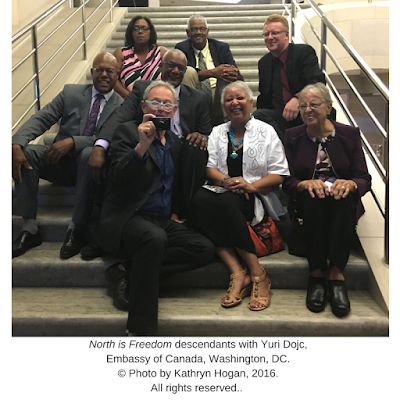 It's the celebration of the enduring legacy of the descendants of ancestors who fled to Canada on the Underground Railroad to escape slavery in the United States. 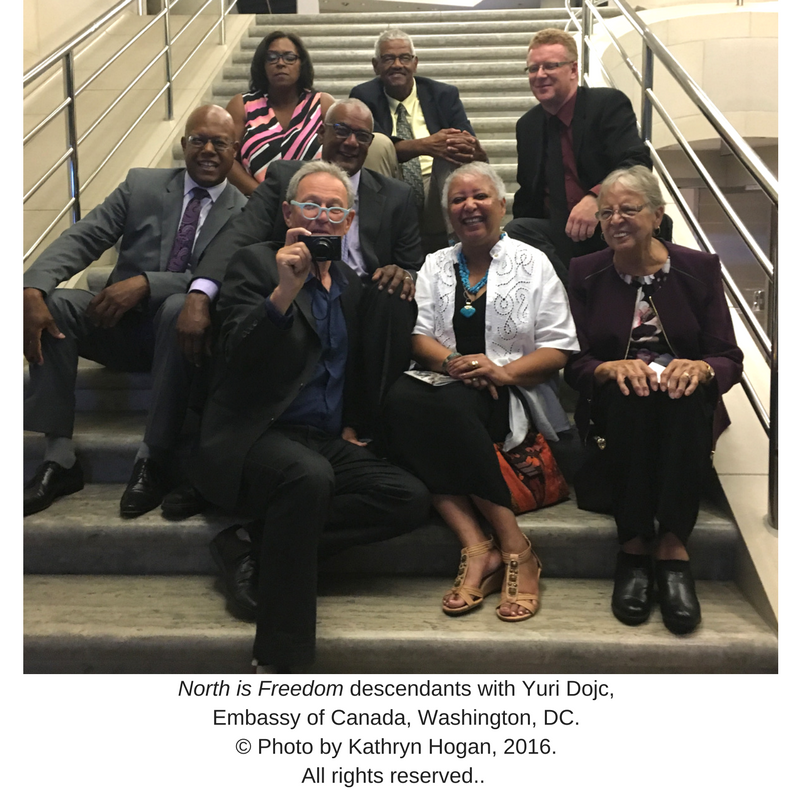 Some of the descendants were invited to be a part of a panel discussion at the Canadian Embassy to share a little bit about their stories. My hubby, Darryl, is descended from Samuel Harper and his wife, Jane who escaped to Canada on the Underground Railroad with the abolitionist, John Brown. 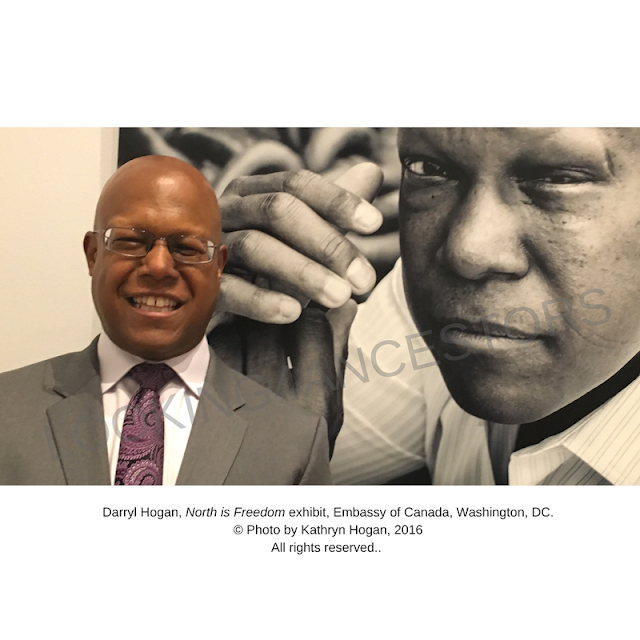 We met Yuri Dojc this past June in Amherstburg, Ontario, where he photographed Darryl at Navy Yard Park. Yuri has such a passion for his work. He is truly interested in each and every person in this project and their story. Like Steve and Carl. Steve identifies himself as Black Canadian. Carl identifies himself as a white Canadian of Irish descent. Both are descendants of the same ancestor, John H. Mead of Baltimore, Maryland. But they are more than this. Steve and Carl are not only cousins; they are friends. Good friends. The kind of friends who grab a cup of coffee together, hangout and talk. Yuri's photos make these stories come to life. 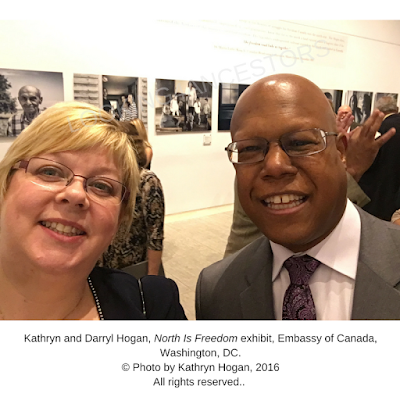 The North is Freedom exhibit at the Embassy is open to the public until January 5, 2017. It really is something to see.